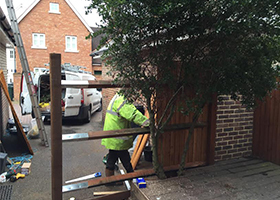 We are a friendly team offering all aspects of property maintenance in Maidstone for homeowners and businesses alike. Welcome to Kev's Property Maintenance in Maidstone. We are a friendly family run specialised team offering all aspects of building and drainage maintenance for homeowners and businesses alike. With over 35 years’ experience and our own property management background we have rapidly gained an enviable and honest reputation for our first-class service to residential and commercial clients. Providing quoted works and reactive call outs. We undertake a variety of jobs from small-scale home repairs to refurbishment projects for an array of Clientele. 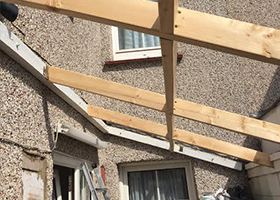 By contacting Kev's Property Maintenance you can remove the stress and expense of separate contractors whilst maintaining the continuity of high quality workmanship and a professional service. Kev's Property Maintenance have always been extremely helpful and knowledgeable, especially on emergency / last minute jobs. Kevin is approachable, very professional and a great ambassador for the Company dealing with both Landlords and Tenants. Happy Landlords and Tenants make our job so much easier and knowing they are in good hands gives us peace of mind. We highly recommend Jacket. We have been working with Kev's Property Maintenance coming up to a year now and have always found them to be very responsive and knowledgeable with all job types we have passed them. Working with lots of contractors throughout the U.K finding a firm that is able to offer you the kind of service Kevin and his team provide us with is not easy. We are always kept up to date and the feedback we receive is good allowing us to keep our clients and Landlords up to speed. I would more than happily recommend there services.